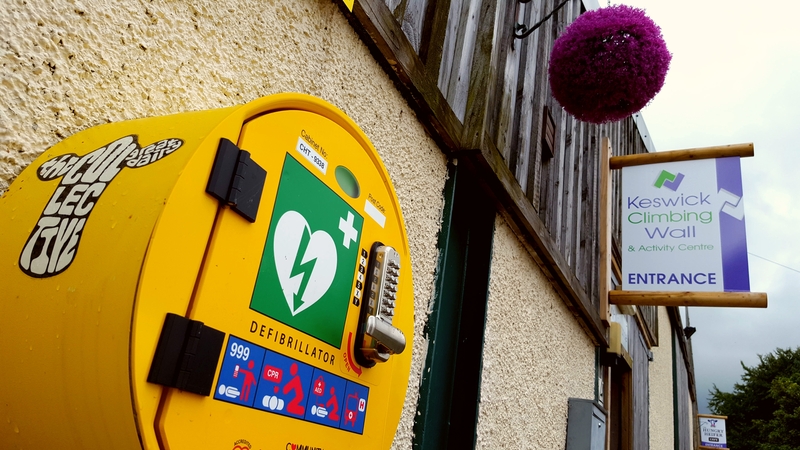 There has been much debate since the statement by the BHF in 2009 regarding defibrillator enclosures, and the recent December 2015 statement by the RC(UK). The CHT agrees with the position that all defibrillators should be readily available as and when the need arises. In an ideal world, these would always be stored in unlocked or otherwise easily accessible locations. CHT also recognises that there are instances where the levels of security are such that it is necessary to have these valuable life-saving devices stored in a more secure environment, including locked containers. This is not, as implied in the recent December 2015 RC(UK) statement, to just protect against theft, but also to protect against vandalism, curiosity, weather, mischievousness, and to address the vicarious liabilities for ambulance services and communities. It may also be a condition of any funding agencies. There are several instances of unlocked enclosures being opened and the interior and contents exposed to the elements, resulting in a non-operational status for the defibrillator. To have a fixed view is not beneficial, and flexibility is desirable. It is also worth noting that some enclosures have since the release of the RC(UK) statement suffered incidents of vandalism although this does thankfully remain rare. The provision of secured locations, including locked cabinets, is often a requirement to meet legislative, insurance, functional and public finance reasons. It is also unreasonable to assume a community that has fundraised through extensive methods, should allow open access to their owned equipment in areas where crime and vandalism is a concern, without some form of security. The R.C.(U.K.) have agreed with CHT that such exceptions are reasonable. Specifically, the issue of opening a locked box is not “a process that can take several minutes”, but one that takes 3 to 8 seconds, and would be as a result of a rescuer receiving well-communicated instruction as to locality and access via the ambulance service telephone operator. This is an agreed protocol with most ambulance services, except London, who we are advised will not accept any locked cabinet onto their CAD. Opening a locked, as opposed to an unlocked cabinet, adds very little time to the activation and time to patient process, especially as the vast majority of instances in which such devices are deployed, happen at a different location to that of the immediate locality of the defibrillator. The majority of any delay the locked cabinet presents would be ‘soaked up’ in the time the rescuer actually takes to reach the location of the defibrillator. Where codes are used, these should be simple and agreed in advance with the ambulance service, and any lock should be mechanically reliable, preferably of stainless steel components, with electronic and aluminium styles avoided due to their inherent issues. Therefore, the issue is (1) whether a defibrillator is available to the community in a workable state in the first instance, and (2) that this equipment is in a suitable position to be activated in a rapid manner. In the case of cPADs especially in rural locations, a degree of theft prevention may be desirable, as they are not usually in a location with inherent security, as found in some cities, where defibrillators are stored in areas of higher security such as office foyers, train stations, etc. Further, the cabinets, placed in remote locations and exposed to all weathers, require a level of robustness and internal temperature control not necessarily required in cabinets enclosures used in more conventional and, more often than not, ‘sheltered’ PAD sites. 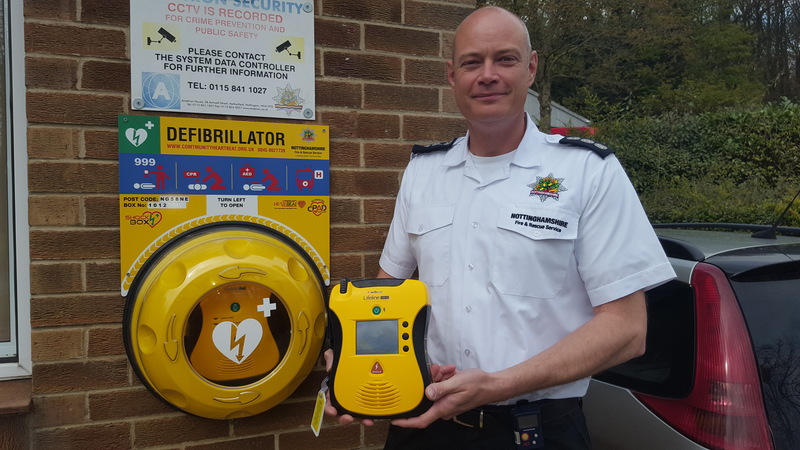 The CHT works with local ambulance services throughout the U.K. to ensure access to these defibrillators is achieved in the fastest time possible for that environment and location. Aside from the factors mentioned already, one other crucial element to consider is the Ambulance Service Activation Radius, which may also influence your decision as to whether to have a locked or unlocked defibrillator cabinet. If a locked enclosure is necessary due to a high rate of vandalism, but you are in an area with a limited activation radius CHT has other services available that may be able to help such as our Volunteer Emergency Telephone System (VETS).